Electrical Generating and Pumping Units manufactured by Petter Ltd.
Stationary Engine magazine is delighted to herald the announcement of a second reprint of a popular book from Lodge Wood Farm. 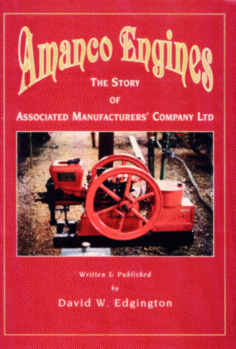 First published in 1978, and again in a slightly revised form in 1993 by the late David Edgington, it was a popular publication which soon sold out and it was his express wish that Doreen would eventually get a second reprint of the 1993 edition reprint done. 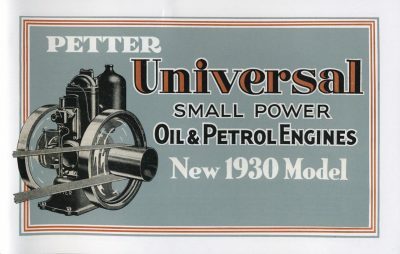 The book is in fact a facsimile of a 1932 catalogue of Petter models and types, and was ﬁrst published with permission of Petters Limited. 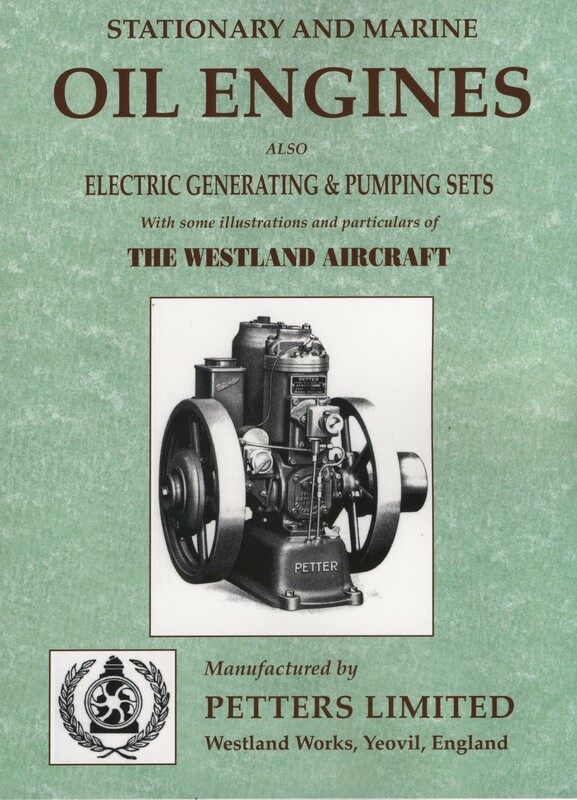 The catalogue not only deals with various electrical gen-sets, cement mixers, power-winches and pumping sets driven by different models of Petter engines; S-types, M-types, Atomic, Universal air-cooled and marine, but also includes a couple of interesting chapters on then-current Westland Aircraft built at Yeovil; Westland being under the Petters “umbrella”. 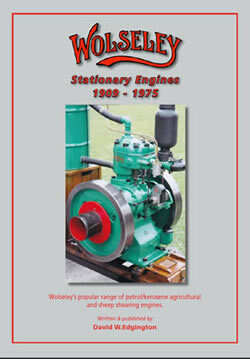 There is a brief dating guide for the more popular models and, towards the rear of the book, many pages of information on oils, fuels, calculations of power needs and ratios and a whole detailed chapter on the patent Petter Calibrater pressure lubricator. 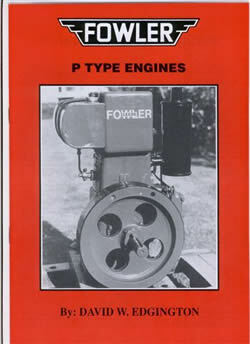 Lavishly illustrated with pictures and with diagrams, this descriptive book of 172 pages in A4 format should grace the shelves of, not only most avid Petter engine enthusiast, but indeed any engine collector – especially those who missed-out in its ﬁrst print run.